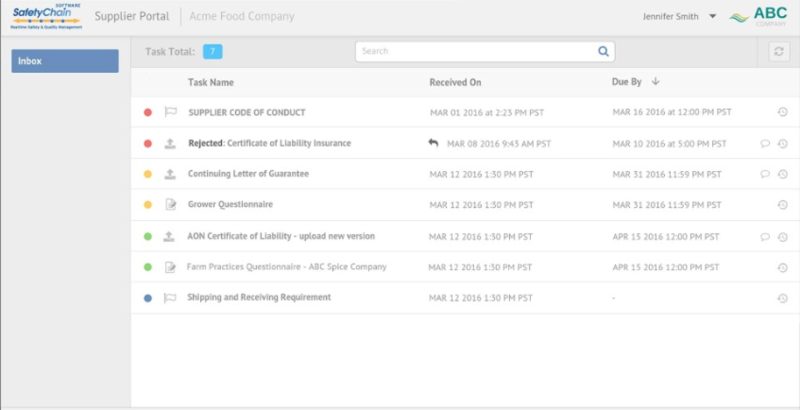 Learn how SafetyChain is helping leading Food & Beverage companies streamline & simplify supplier management. 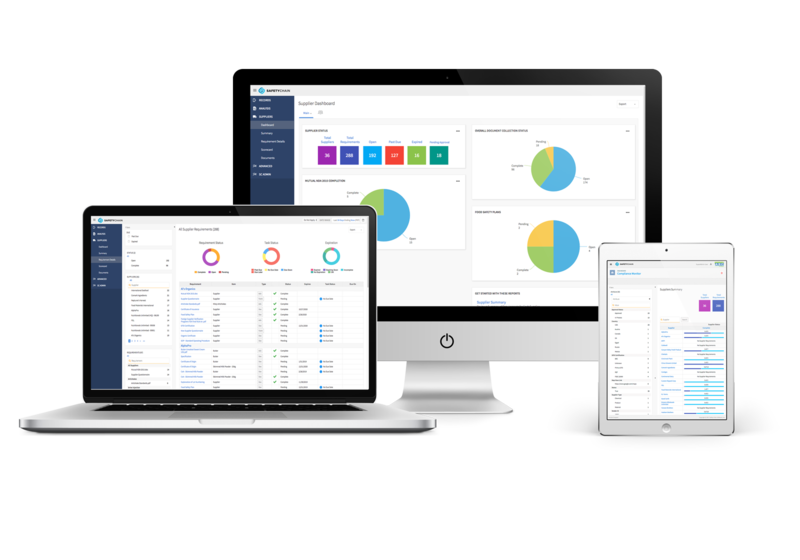 SafetyChain Supplier Compliance is a supplier management software solution that provides a user-friendly online portal with powerful API integrations and analytics to help food and beverage companies improve supplier onboarding, communication and management. Dramatically reduce the time, stress and tedious tasks caused by paper processes and complicated spreadsheets with a centralized online supplier system. Increase supplier adoption with our user-friendly online portal that makes it easy for your suppliers to log in, upload and update critical documents from anywhere at any time. 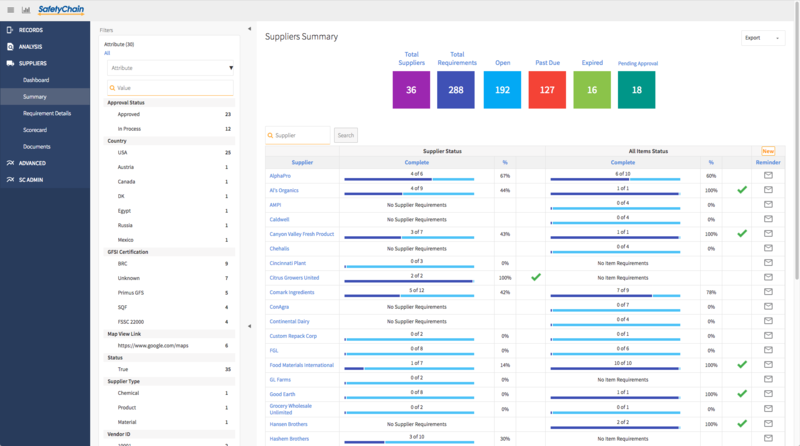 Use our mobile app and analytics to verify supplier shipments to prevent use of noncompliant ingredients – then track, score, and compare performance data to determine your best (and worst) suppliers.